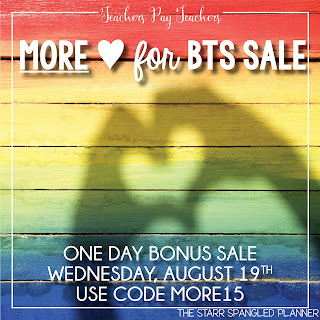 Teachers Pay Teachers has decided to have one more Site-Wide SALE! This sale is only for 1 day and will be held this Wednesday 8/19. Everything in my store will be 28% off when you use the code MORE15. Stay cool! It's 80 - 90 degrees here in Boston today! My friend in Arizona says it's 110 degrees there! Do your kids need to practice their multiplication facts? If the kids are still on summer vacation or if they have already started back to school, I have you covered. Here are 2 fun multiplication tables for the kids to fill in to strengthen their memorization of number facts. Working with number tables helps children develop Fluency with basic number facts and observe Patterns in numbers. You can save or download these worksheets from my Free Worksheets pages on my website.